It's Rhinogobius duospilus that I collected recently. I got influenced by my friend, who showed the interesting world of Rhinogobius. And here is the female. And Plácido Domingo on the right, very blur. The type locality is from Hong Kong, so I will have to get some for comparison end of this month. haha.. so cute!! Great photos!! can you give us the locale... I'll just Google Earth it and nip down there with my fishing net!!! Only kidding.. very interesting and beautiful fish though, what do they eat, and how big are they?? Amazing pictures, looks like one of those dinosaurs from jurassic park. frozen bloodworm & around 3 cm only. MrTree, pix look kinda dark. See if Benny agrees. What is the temperature that these guys can tolerate? From Hong Kong, so must be quite cool? How much did you pay for them in Hong Kong, going there next week, might get a few myself. err..for me, I am going to scoop some for scientific use. but it will cost HKD 5 on the street, at most. they are from hillstream but doing well in 28, 29 c. Wow!! Very nice fish and pics!! 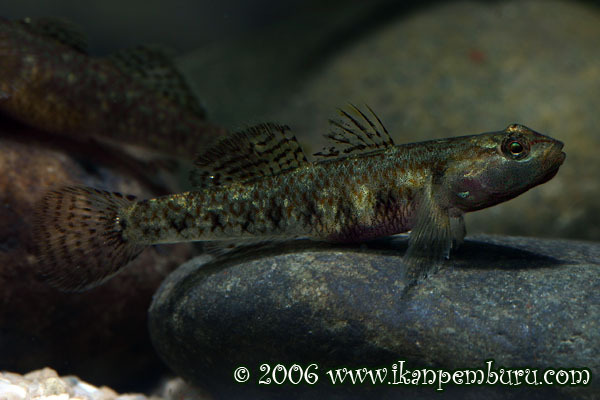 Ever found some little Goby in hillstreams, but never brought back home, never think if they very interesting!! Oh wow!... I am going to look out for them when I am going to Hong Kong in May/June... Woot! I thought there was an exposure compensation of +2 already? Yeah. It does seems darker than usual. But GREAT LOOKING FELLA!!! Very nice pics & fishes...!! I like gobies, but my first experience wasn't good. 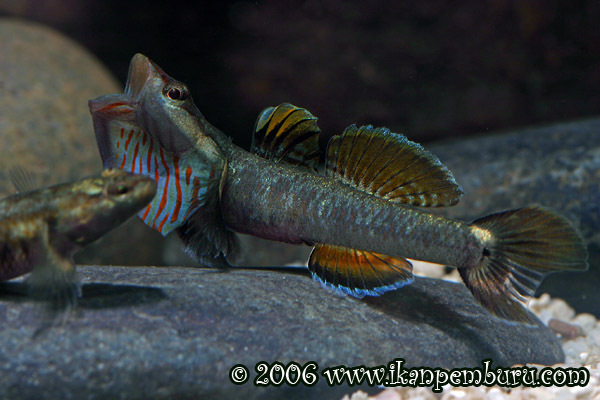 In my observation gobies tend to move slowly, from some spot to another spot, then to another spot, not swim freely like tetras, that's another factor why I like this fish. Do all gobies have this kind of problem...? Or is it because their slow movement make them easily got fungus...? When my gobi had the fungus problem, the other fishes like tetras still healthy & they never had the same fungus problem. Sorry, maybe I post this in the wrong section...? havn't got chance to shoot again. was busy shooting some new fish from highland! 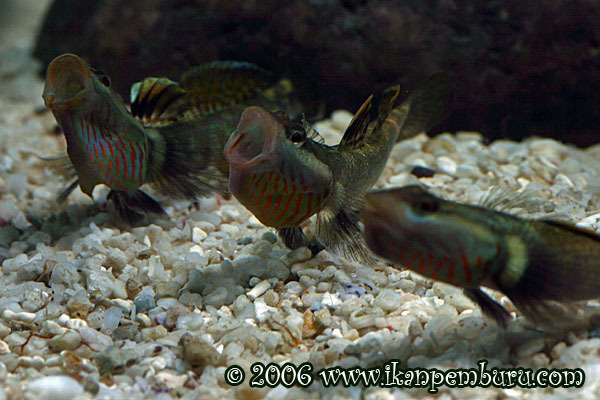 oh yeah, this fish is like Apistos, only look good after well conditioned.